Ayurveda provides reasonable guidance and support to woman both for reviving as well as maintaining her natural beauty, mental harmony, liveliness and splendor lifelong ! The holistic healing wisdom of Ayurveda lays great emphasis on the natural wellness of a woman, taking into consideration both her outer as well as inner beauty. 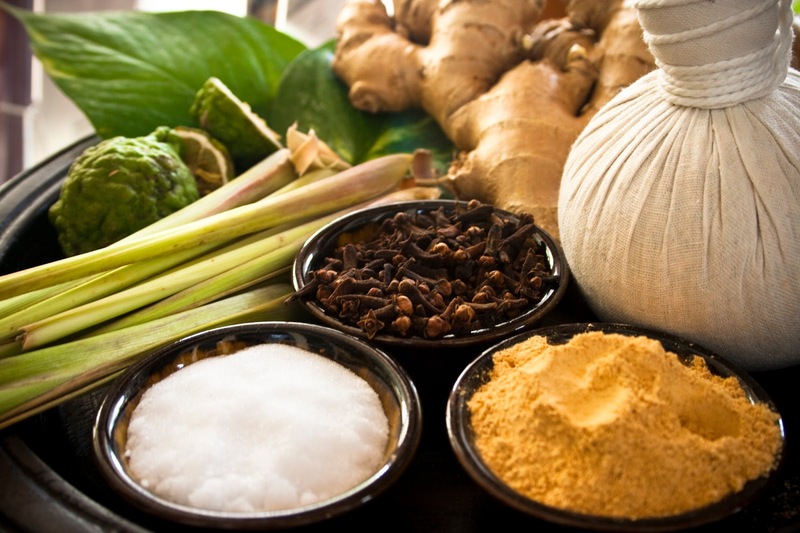 There are so many Ayurveda herbs, home remedies, Ayurvedic and herbal medicines and Ayurveda uterine tonics for restoring as well as reviving woman health. Ayurveda offers many natural health tonics which have the basic ingredients of Ayurveda herbs like Shatavari, Ashoka, Aamla, Aloe vera, Lodhra, Trifla etc along with Natural components like Lauh bhasma, Praval pishti, ghee, cow’s milk, honey or jaggery. Ayurveda is a complete holistic natural science which deals with not only curing a disease, but more importantly maintaining the natural well being of an individual. Be it the physical body, the mind, the spirit and all other parameters of well being are comprehensively taken into consideration by Ayurveda therapy. Therefore, pertaining to Ayurveda insight, the natural goodness of Ayurveda beauty tips with the use of herbs and Ayurveda herb formulations prove to be remarkably supportive in gaining as well as maintaining the natural beauty of woman. A number of time tested herbs that have been researched over the years promise a smooth and supple skin, natural radiance as well as escape from most of the skin maladies. As a woman, you need to be aware that it is equally important to be aware and restrain from the factors that would otherwise cause harm to your skin. The age old therapies of Ayurveda work as a boon in not only doing away a number of skin maladies like acne, blemishes, skin eruptions etc, but also promise great help when it comes to nourishing and restoring your natural beauty. Here are some of the herbs that could benefit you as a woman by providing soft and smooth skin with a natural glow. The herbs of Aloe vera, Neem, Turmeric, Sandalwood, Saffron etc are natural boon for maintaining the smoothness and suppleness of your skin. Ayurveda detoxification needs to be pursued occasionally, especially during seasonal transition. There is a noticeable gain in vigor and vitality, improved skin conditions, regular bowel movements, and better digestion physically and mental gains include increased levels of clarity and a feeling of cheerfulness. The detox plan proves to be a natural bliss. Natural detox is possible by following Ayurveda detox diet that includes nutritional supplements and herbs, breathing exercises of Yoga and hydrotherapy of Naturopathy together compliment the natural detox plan. As a woman you are also the queen of your house kitchen. Thus it becomes rather mandatory to be acquainted with these simple and doable ‘Art of Eating’ Ayurveda diet tips and try to bring these in your (and your family) everyday eating habits, so as to enjoy the fruit of Natural health lifelong! · While taking food, you need to be mentally in the state of happiness and tranquility. Physical hygiene and mental (spiritual) purity enhance the nourishing property of the meal. Ayurveda advocates taking of the meal to be analogous to performing a sacred act. Therefore enchanting of mantras and offering of prayers before commencing eating the meal is considered auspicious as well as mandatory. The everyday food that is warm, unctuous, and light is believed to be well digested and nourishing for the body as well as mind. This kind of food tends to invigorate your gastric fire—which is essential in proper digestion of the meal—is nicely digested and assimilated within the body, and helps to settle down the gas formation in the abdomen. We are living in this realm of anxiety, stress, insomnia, depression and so many other mental afflictions, and no doubt as a woman, you are naturally a soft target. For keeping your happiness meter enhanced, you need to religiously bring in more balance and harmony in your life. You need to wake up early in the morning, actually with the first morning sun rays! The juvenile ultraviolet rays emitted during dawn tend to work as mind stimulators and mood dilators! Yoga poses like Shavasana and Yoga Nidra and Deep breathing techniques called Pranayama’ are surely going to help you greatly, especially Anulom – Vilom and Bhramari Pranayama. Take to Vegan diet which is more Satvik and therefore enhances positivism of the mind. More of seasonal fruits, vegetables, sprouts. Naturopathy suggests take alkaline diet more than 80%. Massage of soles of the feet with some warming oil like Sesame seed oil will benefit. Also, you need to use some cooling oil for massage of your scalp daily. Elaadi tailam or Coconut oil are good. Meditation is going to be of highest support. Make it a part and parcel of your everyday living. Ayurveda herb Ashwagandha is recommended for imbibing mental peace and relaxation. Sarswatarishta and Brahma Rasayana are some Ayurveda medication that would be of assistance. Do not miss on your bond with Nature. Connection with all five natural elements – Ether, air, sun, water and earth is actually needed. Are you losing hair more often ? This ailment of Hair fall is un-jubilantly affecting the masses, especially women at large. Be it patients, family members, friends or associates or even the new and unfamiliar acquaintances, hair fall seems to be one malady where all stand united and perplexed ! Well, I do understand the apprehension as this simple looking malady of hair fall impinges on both physical and emotional levels pertaining to the depriving of splendor and well being. Losing weight is more easy said than done ! This is surely a universal truth..the flab seems to stick on by default and as and when you try to get rid of the same, you simple seem to be driving uphill without much support. Thus the repeated efforts leave all your enthusiasm futile and you are exasperated and simply discouraged. As woman, this is surely is one of your highest concern. Obesity, or Aatisthoola as called in Ayurveda, can be cured by some simple suggestions and principles laid down by our ancient scholars of Ayurveda. Shed off those extra pounds. The simple synonym of Meditation would be to enhance the power of concentration. In Sanskrit “Dhyana” means to continuously contemplate focus on the inner peace and tranquility. And working on this ancient technique of self-control, mind and body balance as well as spiritual growth may be attained. And the usage of meditation in our day –to-day living is simply remarkable! When practiced regularly, this simple and easy rumination can bring about healing and well being on physical, psychological and spiritual level. As the diet is to the body and positivism is to the mind, thus meditation is to the soul. You may practice meditation for an hour a day or one minute in an hour. The crux is to detach with the mortal world by all means. While you may sit relaxed in any comfortable yoga asana (Pose) during the process, I would emphasize here that you need to keep your neck and backbone erect, so at to be able to connect efficiently with divinity. Although, for creating a tranquilizing atmosphere for meditation sessions you may also need to inculcate visual, sensory together with auditory factors. Lighting a candle, fragrant and pleasing aroma or soul stirring soft music and mantras could be of great help. Yoga poses and deep-breathing techniques of Pranayama are virtual gain for all those who find themselves growing conscious about the progressing years. Yoga aids in slowing down the process of aging in a number of ways. When practiced regularly, body cell degeneration decreases considerably and this in turn imparts vitality and vigor to mind, body and soul. Practicing deep breathing techniques provide you with inner peace, helps reduce debility and limitations and even slows down the aging process. As a woman, you are never ready to compromise with your youth radiance and charm, and rightly so. However, as times would have it, the process of aging is being rather pre-defined these days. Blame it on food adulteration, modernized sedentary lifestyles or even environmental impinge. The signs of aging have become obvious and deluding ! Ayurveda Rasayana therapy which is a Natural rejuvenation healing modality is the answer to the impediment of early aging. Ayurveda offers age-old rehabilitation therapy of Rasayana that imparts natural rejuvenation management. This therapy occupies a prime position in Ayurveda and abides as a distinctive branch that deals with maintaining and ameliorating the body functions, including those of the brain. All the more, timely use of Rasayanas could help in increasing resistance against disease, enhancing your health and vigor and delaying the debility of aging. Woman health generally tends to take the back seat, owing to array of responsibilities and obligations that encircle the life of a woman, she being a working woman or house maker. I always try to guide my female patients strongly on this issue. They need to be aware that as they are the anchor of all the work load, as well as emotional fixations that life brings forth every now and then. Therefore, keeping balanced and unwavering is not only their well-deserved right, but also imperative duty. Following small lifestyle modifications in diet, exercise and normal sleep would keep them going steadily. · The daily food intake should preferably be freshly cooked, appealing to taste and easily digestible. Intake of spicy, fried foods, cold drinks, caffeine rich foods and drinks and alcohol should be minimized. 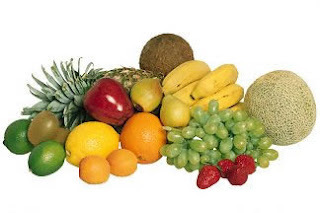 · Try and include all the six tastes in your daily diet: sweet, salty, sour, pungent, bitter and astringent. · Take care to include optimum exercises in your daily routine. This helps to keep more active, flexible and away from progressing ailments. These exercises should be according to your own strength and tolerance power. A brisk walk early in the morning is a good form of exercise. · Sound sleep for seven to eight hours is the best form of rest. This helps the body and mind relax completely and also helps regain the daily loss of energy. This is also a necessary ingredient for retaining – as well as reviving – natural wellness, vigor and vitality. Ayurveda medicinal formulations like Ashokarishta, Suparipaaka, Phala ghrita, Rajah Parvartani Vatti, Pradarank lauha, Dasmoola Arishta etc are generally prescribed by the Ayurveda physician. These medicinal formulations are devoid of side effects and work as natural aid for restoring the health of woman. very valuable article by Dr Sonica Krishan JI is natural gift to women on the eve of International Women Day,this exhaustive write up blog is non less than a complete well being of the women and entire community at large,all these tips mentioned by doctor Sonica Ji seems to be of daily use for women,saluting her contribution and gesture for the women folk.Keep it up.